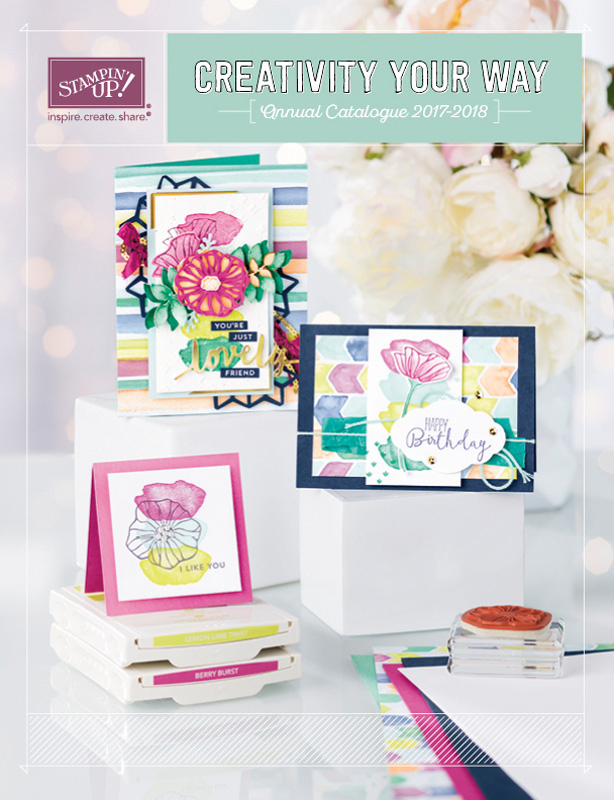 Have you taken a good look at the beautiful new 2017-2018 Annual Catalogue cover, featuring the Oh So Eclectic stamp set. 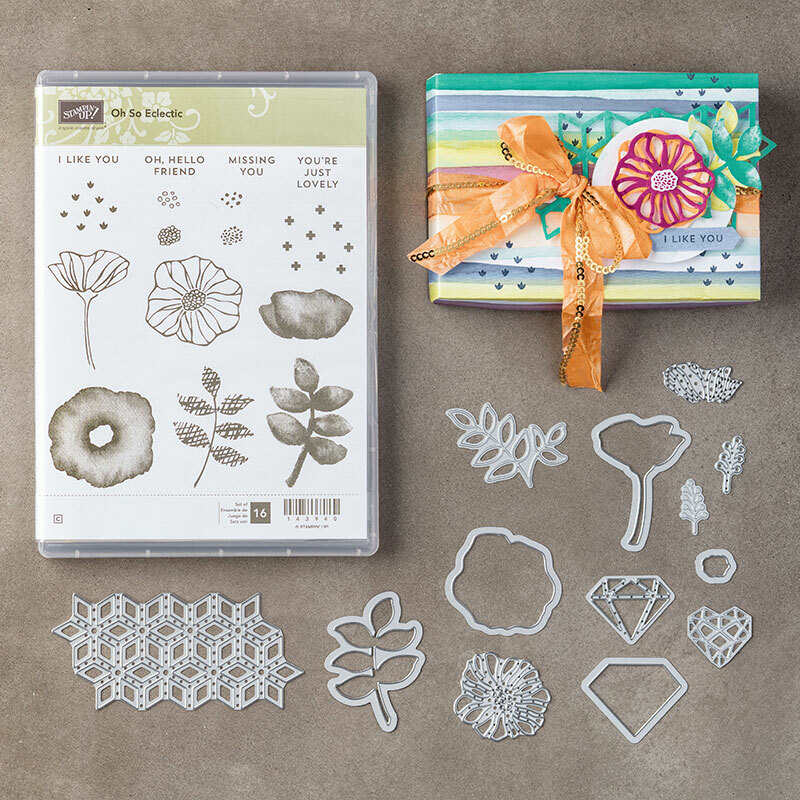 You need this set so you can recreate these cards (or any project) or with sets you have (which is exactly what Stampin' Up! did below). 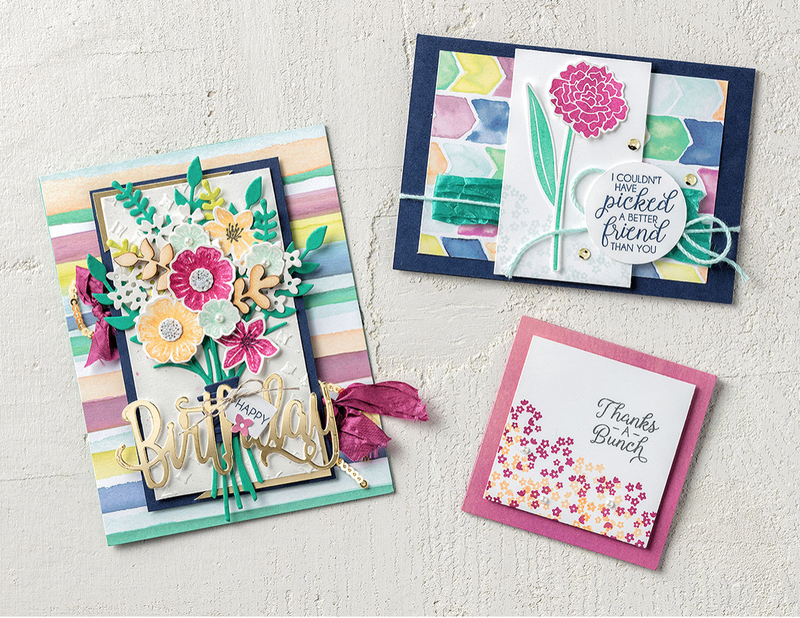 The cards shown below use different floral images but have a similar look and feel. Don't get stuck in a rut when you don't have a certain stamp set; just get creative so you see the versatility and value of every stamp set you have in your collection. Create die-cut pieces in record time with Thinlits dies and the Big Shot. 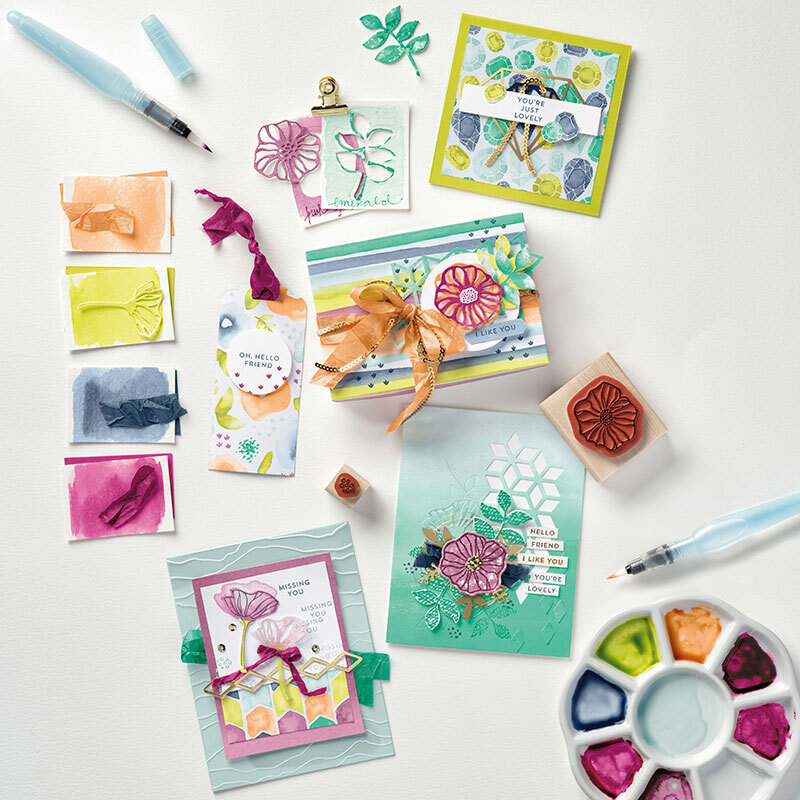 Thinlits Dies help you create detailed die-cuts with just a few turns of the Big Shot handle.